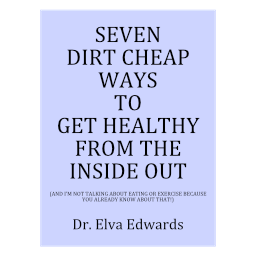 January 2015 – Dr. Elva Edwards, D.C.
Why People Are Sicker Than Ever! Today I am going to write about why so many people are sick today which may give you some ideas of how to keep your own health from being affected. You might or might not be familiar with some of the items I mention, but if you are forty years old, you know that health has been compromised, because when you were a child, people were not nearly as sickly as they are now. I’m talking about the people who don’t feel well and have difficulty finding a diagnosis. Those people often end up taking some kind of anti-depressants or other drugs “to see if they will help.” Often they don’t. Many people end up on disability. What has happened in the last 40 years that has caused so many people to be sick? If we look at the nervous system stimulation people have on a daily basis, it is so much more than I had as a child on the farm. We had television, but they were calm shows like Andy Griffin, Leave it to Beaver and I Love Lucy. Compared to television today, television in the 50’s and 60’s would now be considered BORING! Why? Year after year, people want more stimulation! When you go to a restaurant, have you noticed how hard it is to talk over the noise? I remember reading a book about thirty years ago reporting all the noise in our lives, especially in a city. We talk about air pollution and they referred to the noise as sound pollution. If you think about all the input that our body and our brain has to deal with, it is overwhelming. Next is the air pollution. This refers to inside air as well as outside air. Walk down the aisle of your favorite store that carries the large bags of fertilizer and pesticides. I try to avoid those aisles, as the smells are so bad. In fact, just try taking a walk in the city. Some years ago a friend and I walked every morning. You wouldn’t believe how many people were drying clothes in the early hours and you could smell those sheets you put in the dryer to make the clothes soft. Instead of smelling nice clean fresh air, we smelled the dryer sheets wafting out the dryer vent and into the air. Let’s not forget all the smells from the vehicles and the gasoline. I have to change lanes if I am behind a diesel burning truck that likely needs a mechanic. All of those chemicals you smell, your body takes into the lungs for your body to attempt to detoxify but often end up in other parts of the body, like the brain. And we wonder why so many people who have never smoked have lung cancer. Then there is the water. The word is finally getting out to people not to flush their medications down the toilet. Why? Those medications end up in our water. Yes, they may be in low doses, and maybe just in the energetic signature of the drugs. However, I don’t need the drugs and I particularly don’t need them in my water. Not to belabor a point, but just remember water is recycled. Much of the medication a person takes is urinated out in time. All of that medication as well as street drugs, in fact, anything we take, gets recycled. Is there a filter to apply to our water to filter out all the drugs and chemicals? If not, then we drink them after they are recycled. Yes, they are in small amounts, but can that be healthy for us? When we consider all of these forms of pollution that were not there when I was a child, we can see that we are asking a great deal of our bodies to detoxify all of the incoming chemicals. And we haven’t even talked about living in a Wi-Fi world. We love our computers, our cell phones and our mini pads. Even though I grew up in a world without these devices, we can hardly imagine our lives today without being in constant contact with the outside world. Are we paying a price for that? Our body is constantly being bombarded with the signals of our era and scientists are thinking this may have health ramifications. So, with all of the above said, anything you can do to avoid these types of pollution will be beneficial for your health. We need to think in terms of constant detoxification. Gratitude arises that our bodies are so magnificent that they continue to work for us through all of the difficulties mentioned. Let’s help it out by having some quite time each day, drinking water as pure as we can get, using air filters and taking small vacations from being wired!